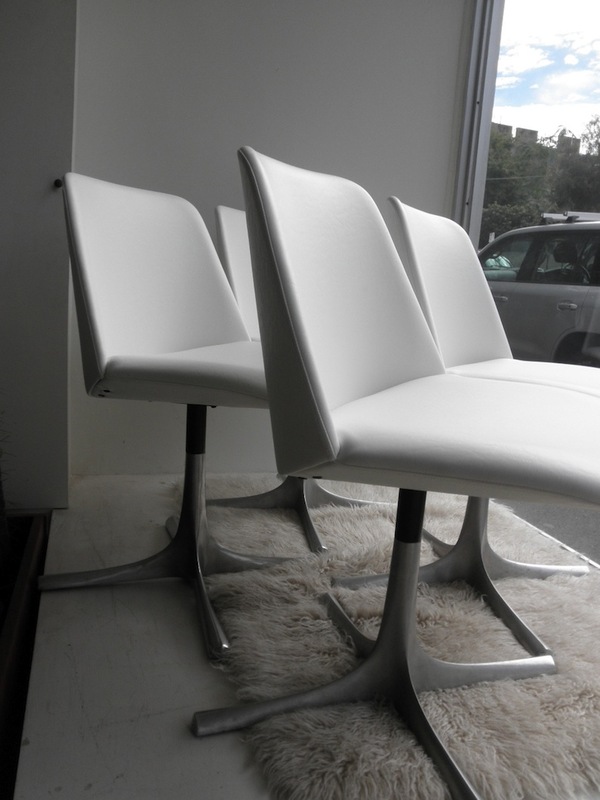 This set of 4 Varna chairs have ben reupholstered in a premium leather like vinyl in white. 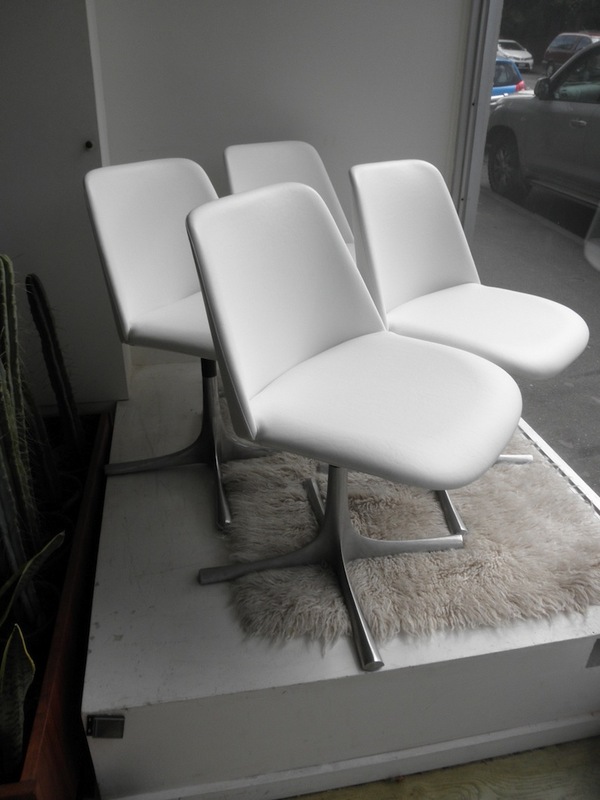 The original sculptural aluminium star bases are super clean and solid these chairs look amazing from any angle and are super rare. We have an original rectangular table to match them if wanted free with the chairs. 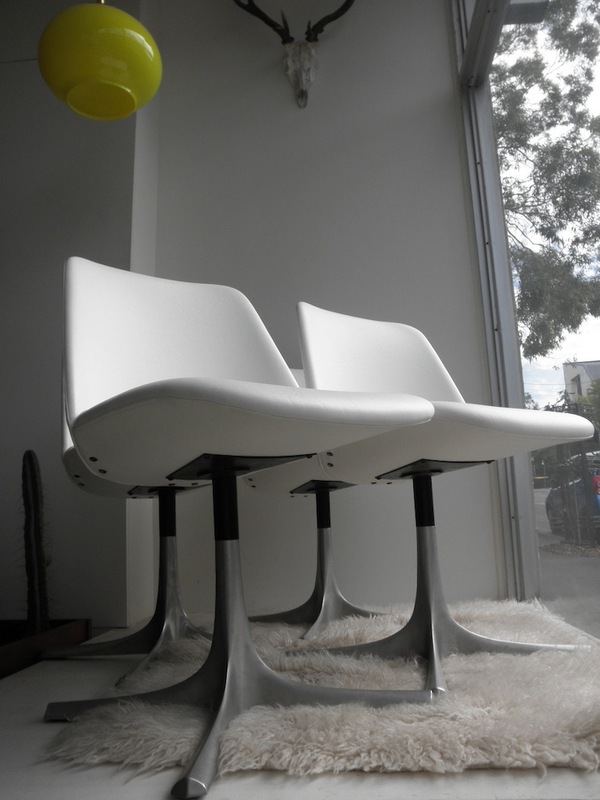 These are much more comfortable and stylish than Eames shell chairs but still have a great mid century compact look.